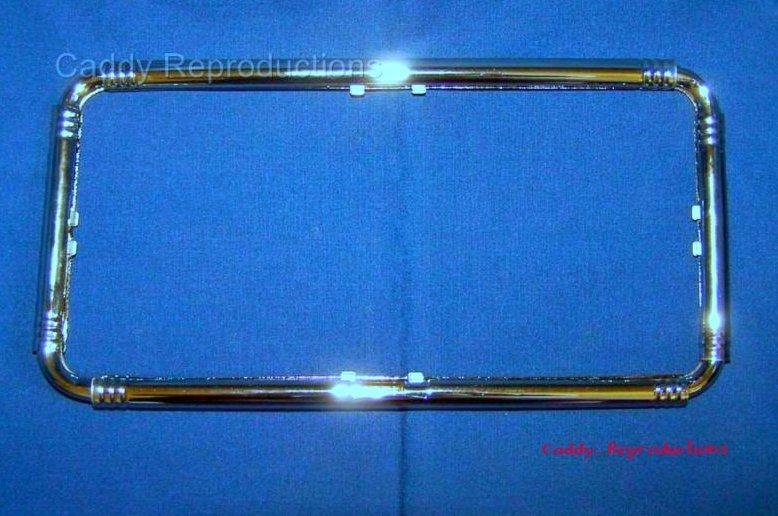 Here is a New Original style License Plate Frame for your 1935 - 1959 Cadillac. This is a Reproduction of the Factory Original Accessory. It is Chrome Plated Brass & is Adjustable length & width, by way of a hollow contruction, so it will fit new plates & the odd shaped original plates. This adjusts from approx: 9" long x 4" 3/8high & up to 15" 1/2 long x 7" high. Note: 1954 & 1955 Were originally Gold & a different shape, this makes a good replacement.